Hobey Ford's new sensory-friendly production is about the interactions of animals who live in the world where the land and sea meet. 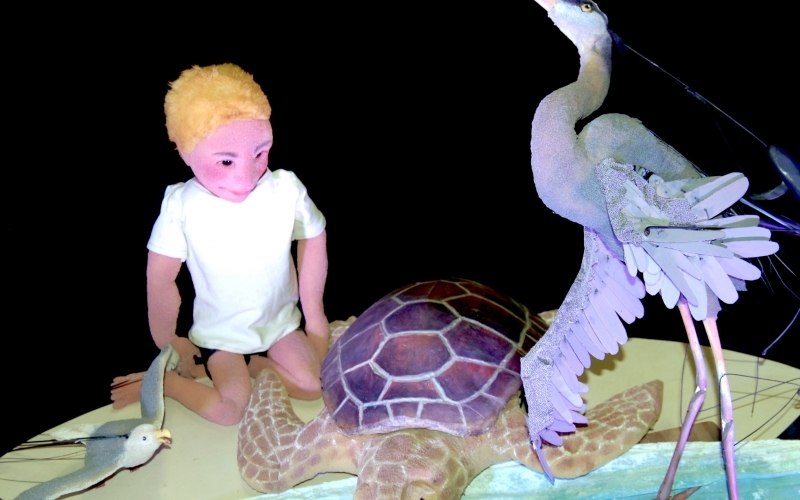 Using hand-crafted foam puppets, the award-winning puppeteer tells the story of a young boy who goes to the beach to visit his grandmother, and begins to discover and respect the natural world, especially the sea turtle. This co-presentation takes place at the Black Box Theatre at Edmonds Community College. The Black Box Theatre is located at 20310 68th Ave. West. The theatre is located inside the Mukilteo building. There is no parking permit required on Saturday. View directions.